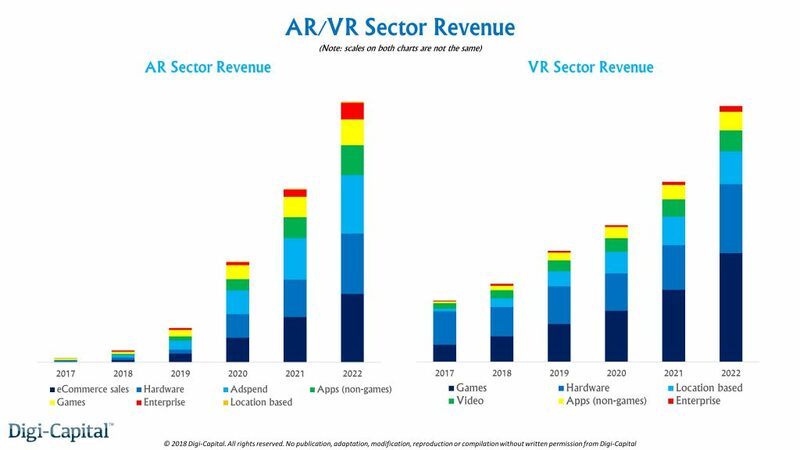 In the past couple of years we have seen a marked improvement in the fidelity, user-experience (see this State of the VR Industry review talk by our Creative Director Siddharth Jain in 2016) and commercial viability in Virtual, Mixed and Augmented reality hardware. We have come a long way from the buggy, nausea inducing, uncomfortable experiences of the early years. The success of break away AR hit Pokemon Go and the the easy availability of affordable Hardware such as Samsung Gear VR and the Windows Mixed Reality Headsets are driving the Household consumer sector. Polished updates and new-releases from established players such as Oculus Rift, HTC Vive and Microsoft Hololens are driving adoption in B2B, Research, Healthcare, Defence and Government sectors. Even the Apple ecosystem has been growing with its ARKit and third party releases like the Bridge. There are even rumours that Apple will release their own VR Hardware soon. The market is booming and will continue to do so in the foreseeable future. 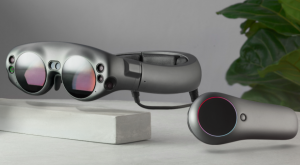 Here is a list of 7 Virtual, Augmented and Mixed Reality hardware you might have missed because they are relatively low-key, specialised or still unreleased and that we think have real potential. We start this list off with something that’s strictly not VR, AR or MR hardware. For us, the Toshiba dynaEdge mobile mini PC is exciting because of the potential it represents. It can marry the flexibility and ease-of-development of the Windows operating system with the portability of a mobile device. 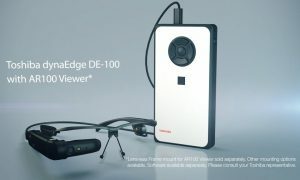 On the dynaEdge PC, the Windows Mixed reality headsets can easily be paired with the wide range of peripherals and input devices that support the Windows OS. Okay so this next item on the list is also not strictly VR, AR or MR hardware (at least not on the consumer end). The Fitt360 is a device that is a wearable 360 degree video camcorder. It makes this list because of its potential ease-of-use in creating VR ready content. With 3 cameras, inbuilt power, 90 minute storage, embedded GPS, Microphone and Bluetooth the hardware this replaces is a veritable rig. 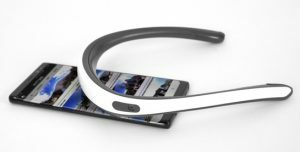 On first glance, the Daqri Smart Glasses look like they are another take on the Google Glass idea. These are a more ergonomic and lightweight form-factor of the Daqri Smart Helmet. Designed primarily for AR they can do some really cool MR tricks like tagging information in the real world. The approximately US$ 5K price tag and the proprietary Linux based OS means that they are mainly meant for corporate and government enterprise use cases. Fove is a eye-tracking VR devkit. Eye tracking is the use of sensors to figure out where the subject is looking (check out Tobii). Fove is short for foveated, which is a way of rendering images such that the clarity is the highest where the user is looking and gradually blurs towards the periphery. Fove can do this in the VR headset form factor. We think this will mean higher fidelity graphics and some very new control mechanics and user experiences. 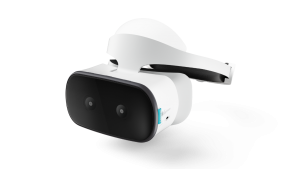 The Lenovo Mirage is standalone all-in-one Google Daydream headset that does not require any messy cables or even a separate mobile or PC. We really like the new trend of having proximity awareness cameras on VR headsets. This affords for a free feeling VR experience that is also safe. We also like the ergonomic design with the easy flip visor and the wireless controller. This really has the Ready Player One feel. Ever wanted to fly like a super hero? 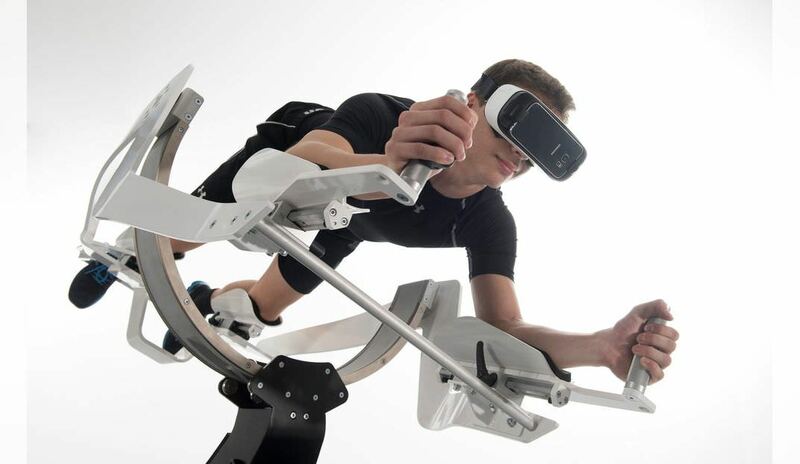 The biggest piece of hardware on this list, the Icaros gym system is full-body VR experience. Its a workout, unlike you’ve ever done before. At over US$ 10K its also the most expensive hardware on this list. It’s pricing is not so far off from other professional (and more conventional) gym equipment and therefore we feel it has a huge potential as USP and a whole new work-out category for commercial Gyms. Launched in 2010, this is perhaps the most well-known and anticipated technologies on this list. With almost US$ 2 Billion investment from Google, Alibaba and Temasek Holdings into a product which was not publicly shown till 2017, this created a lot of waves in the industry. The first public hardware showing does not disappoint. 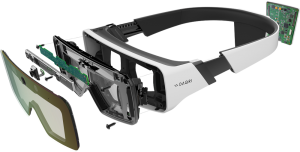 The comfortable looking Lightwear goggles, Lightpack high-end portable computing system and the wireless controller all promise a top notch user experience. There you have it folks. These are our top picks for exciting and upcoming MR, VR and AR Hardware as of March 2018. Did we miss anything special? Let us know in the comments.